It does not matter if you are a salty dog, a rockstar or more of the studious type it’s an exciting time for men in grooming. Endless streams of your Instagram feed may be confusing, so here is a collective list of our favorite men’s grooming and wellness finds. Jonathan Keren is leading the Indie niche with Maapilim Skincare, a complete line of luxury grooming products. Maapilim offers a no-nonsense kind of approach to skincare. You won’t want to shower without their “Soap” its grapefruit scent will whisk you away to a spa-like state of mind. Leaving your entire bathroom smelling like your at a luxury resort. Another must-have for your daily dose of good grooming is the amazing My Magic Mud Charcoal Toothpaste. A hidden gem in the many choices of natural and good for you toothpaste. Chemical free we can only say after only a few brushings with this paste our pearly white were actually really white without the fear of the enamel on our teeth peeling off. Activated Charcoal Toothpaste is formulated with essential oils, coconut oil, bentonite clay, and combined with the oral defense power of xylitol. Toothpaste without toxic preservatives, and NO naughty ingredients like fluoride, glycerine, or SLS. Always Cruelty-Free and Vegan. Certified by Natural Cosmetics Standard in Europe. The essential oils used in My Magic Mud® are sourced from growers all over the world, cultivated over generations, and with these relationships, we’re able to offer the highest quality organic, wildcrafted, kosher, and fair trade, oils around. The gentle abrasives in My Magic Mud® Activated Charcoal Toothpaste are from food-grade diatomaceous earth and bentonite clay, each combined to re-mineralize and clean the plaque off of your teeth, without any of the harsh abrasives used in mainstream toothpaste. A winning combination if you’re seeking a fresh toothpaste that is chemical free. 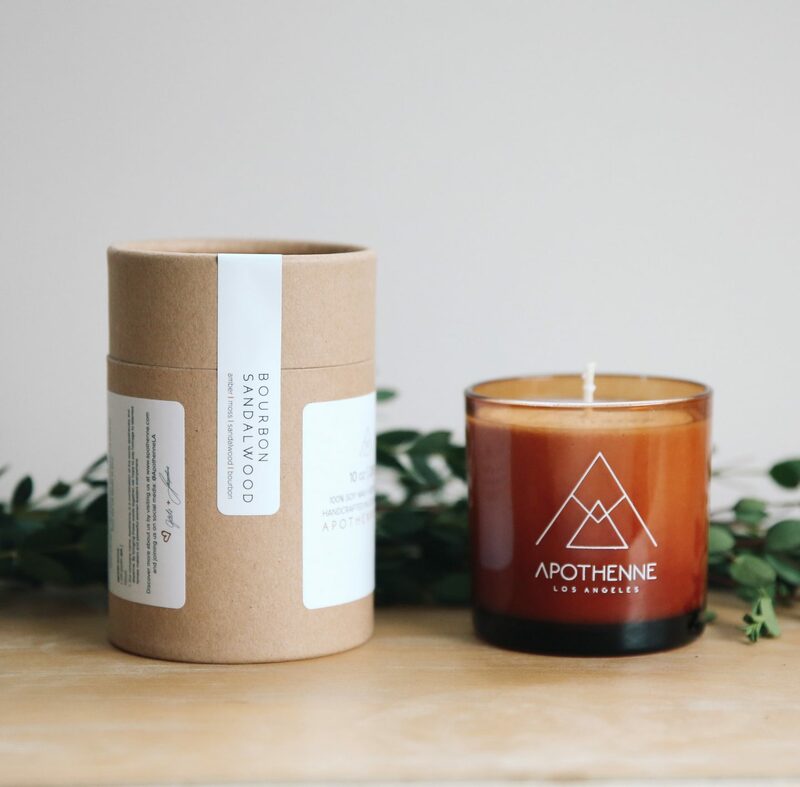 Find your center with the enticing hand poured scents of Apothenne Los Angeles. Seriously, some of the best 100% natural candles we have found. Clean burning, long lasting and essential oil filled their gorgeous scent choices offer an escape from your day-to-day. Light up your Lake House candle and smell ripe pear, lily of the valley, damask rose, amber and vanilla. Close your eyes and feel as if you are lingering in the woods, or jumping off the dock of your weekend getaway.